Tej is an Associate within our Regulatory and Defence Team. He specialises in dealing with regulatory and criminal investigation and prosecution against both individuals and organisations. Businesses offering customers complimentary alcoholic refreshments: take note! Tej graduated in Law with Business at Brighton University before completing the Legal Practice Course at the College of Law, London. He joined the firm in 2011, qualified as a solicitor in 2014 and was promoted to Associate in May 2018. Prior to joining Leathes Prior, Tej was employed in the Dispute Resolution Team at a top five firm in London. He obtained extensive experience in dealing with multi-jurisdictional and high profile civil and regulatory disputes. Tej's areas of expertise include advising on Health and Safety, Environmental Health, Gangmasters Licensing Authority, Environment Agency, Trading Standards, Licensing, Immigration, Planning, Business/Regulatory, Fraud, and general criminal prosecutions. He has experience in both the Magistrates’ Courts and Crown Court, including the designated serious fraud centre at Southwark Crown Court. Tej is a key member of Traffic Lawyers, our dedicated team dealing with traffic and motoring cases on behalf of clients throughout the United Kingdom. He represents private motorists, businesses and organisation in the transport industry on a range of road traffic offences. He has experience in assisting those accused of careless driving, drink driving, overloading, driving without insurance and speeding. I wanted to thank you for your dedication to my case and your excellent presentation to the magistrates on my behalf. Without your services I would not be driving today. I thought the way you approached the challenge of achieving a successful outcome for me was a masterpiece of strategy, planning and delivery. It was so interesting to watch you take the magistrates eloquently 'by the hand' through the maze of events and diverse facts that constituted my defence. Every "dot and t" was crossed with no stone left unturned. Your diligence, creativity and thorough investigations were exemplary and left no quarter for ambiguity at any stage of the proceedings. Furthermore the defence bundles that you prepared with the assistance of your helpful and professional assistant, were also a masterclass in both presentation and logical progression, and presented a daunting collection of hard evidence and background information to the magistrates which helped my defence significantly and shaped their response in a sympathetic and positive way. If there was a prize for the most accomplished defence of a client in a driving conviction case, you would certainly win it! Thank you again Tej and thanks also to Leathes Prior too for being so accommodating. In what was a very stressful situation for me personally, I was very appreciative of the way in which you knitted the strands of my defence together to establish the proper picture of what actually occurred. Delighted to find that my case was then dismissed by the Magistrates, which I attribute solely to your attention to detail, commitment and advocacy skills. I am very grateful for your help and support. I am really pleased with this outcome and hopefully now breathe a sigh of relief and continue with life as normal with my family from now on. I have always regarded Leathes Prior to be one of the best solicitors in Norwich and was very pleased with the service received. The solicitor that was assigned to me namely Tej Thakkar was very professional to say the least. His conduct and advice was first class and I would thoroughly recommend him and Leathes Prior to anyone. I am happy with the outcome and more than happy with your dealing of the matter. I found your manner and attitude absolutely as I would have liked it to be. I do not have any criticisms at all. Thank you for all your energy and attention to our case. I am writing to express my personal thanks, and that of this organisation, for the support and guidance you have provided us with – even extending to staying in contact whilst you were away on holiday. This was very, very much appreciated. Precised and organised style, with understanding and authority. I am emailing you to express my profound thanks for all your help in this distressing case. I could not have asked for a more professional and considerate response. I felt that you understood the difficulty of my case and reacted in a sympathetic but determined manor .Without your help I feel that I could have ended up in a very precarious situation. I would not hesitate to recommend you to anyone else in a similar crisis. Professional and impressive. Has a good understanding of case law and advises clients on realistic outcomes. I have been delighted with the level of service and dedication experienced from you on this case…At every opportunity throughout this case you have proven why we appoint/recommend Leathes Prior on such matters and indeed for all of our legal representation. Your comprehensive and immensely impressive preparation of this case Tej has been brilliant. It certainly made my job a whole lot easier. The way you were always available and able to provide quick and helpful responses to our many enquiries (often late at night) and your detailed knowledge of the papers makes you stand out from the crowd. Both Tim Cary and Tej Thakkar worked like Trojans on the case, and during the run up to the trial Tej Thakkar demonstrated an incredible aptitude for the case. The client enjoyed the services of a very committed team working on his case. I cannot praise too highly the professionalism, dedication and sheer hard work put in by all concerned. I was most impressed with the preparation, thoroughness and attention to detail which took place. As most of our contacts were with you, Tej, we are particularly appreciative of your patience and the time you devoted to us and the case. It has been a pleasure to work with you for the last two years, and i am very satisfied with the outcome, given the circumstances. You have always been polite, professional and committed. I also valued your knowledge on the complex issues we faced. Thank you for your efforts. Tej Thakkar, acting under instruction from Tim Cary, was most helpful and very caring in his approach. Clearly the ethos of the firm is one of care and professionalism at the highest level. Just a short - but incredibly sincere - note to thank you all for your great support over the past few days and weeks. Tej, you are a great criminal lawyer in the making and you are destined for great things I am sure. Just wanted to thank you again for yesterday. Amazing result, and I'm sure the outcome would have been a whole lot different without you. Wouldn't hesitate in using you, or recommending your services to business colleges and friends in the future. In Jan 2017 I had an issue with a neighbour dispute which entailed with being wrongly arrested and then charged with criminal damage and theft. I was guided by Tej throughout nine months of ongoing issues with the police and CPS, with myself finally making it to court and being found not guilty. I found Tej to be highly efficient and hard working in his approach. I would recommend the services of Tej to anyone who is finding themselves in the same predicament as myself. 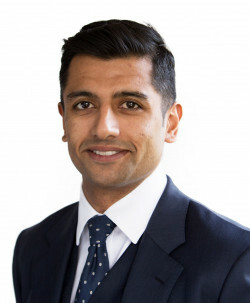 Solicitor Tej Thakkar is widely experienced in Magistrates and Crown Courts, including the designated serious fraud centre at Southwark Crown Court. Tej Thakkar has extensive experience in criminal, transport and regulatory matters before magistrate and crown courts. I would like to thank you for the time and effort what you put into my case. From start to finish, nothing seemed too much trouble and you have certainty gone above and beyond for me and I really appreciate all what you done. Just a quick thank you. Most impressed with the result we got. This is all down to your impressive skill on the day. Nice to have this out the way now. I cannot thank you enough! This is a huge relief for me and my wife, to say the least. I am very aware if not for your hard work this could have gone very bad for us indeed. Just want to say thank you for all your hard work and you made it so much easier having you to represent us as we wouldn’t have got the same result without you. I would recommend you to anyone who need your services and I would certainly use you if I did need a solicitor. All the best in your future.